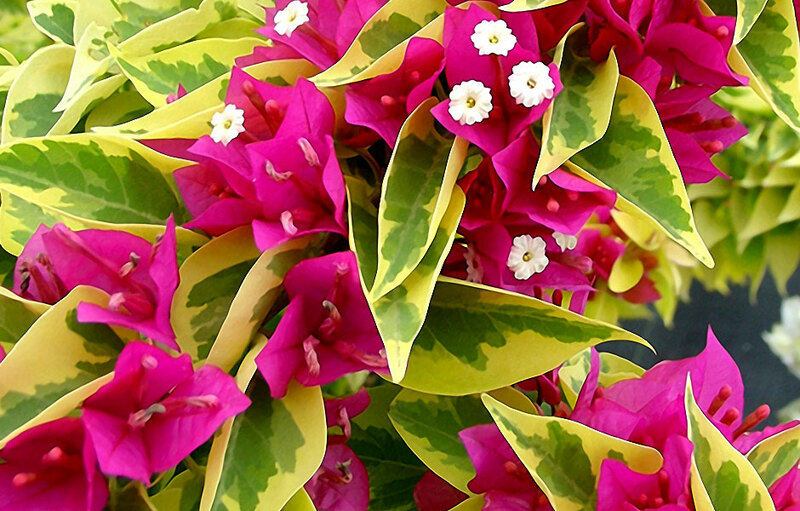 It’s not the flowers that make this plant so colorful, it’s actually the bracts; the flowers are small and white. 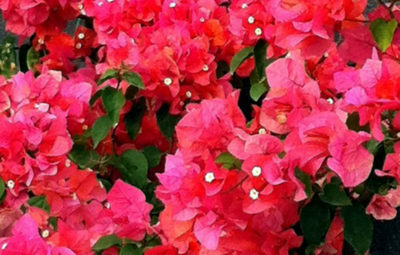 Have a closer look! 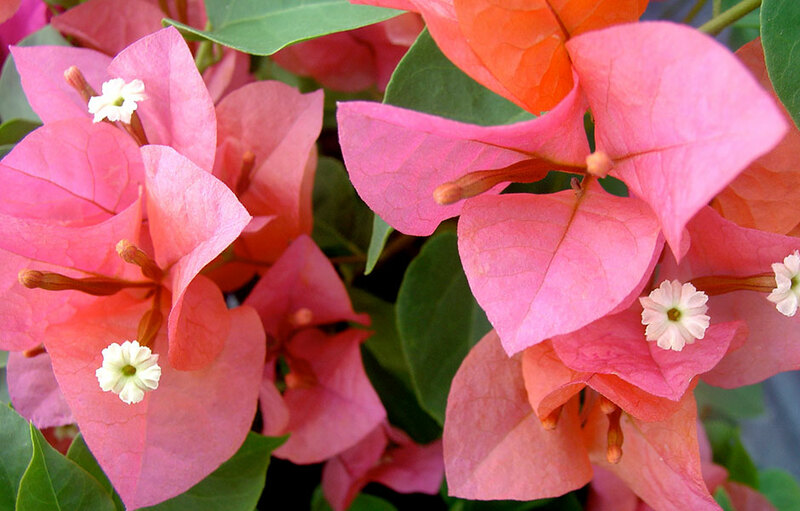 Bougainvillea flower bracts have garish, brilliant, luminous and vibrant colors. 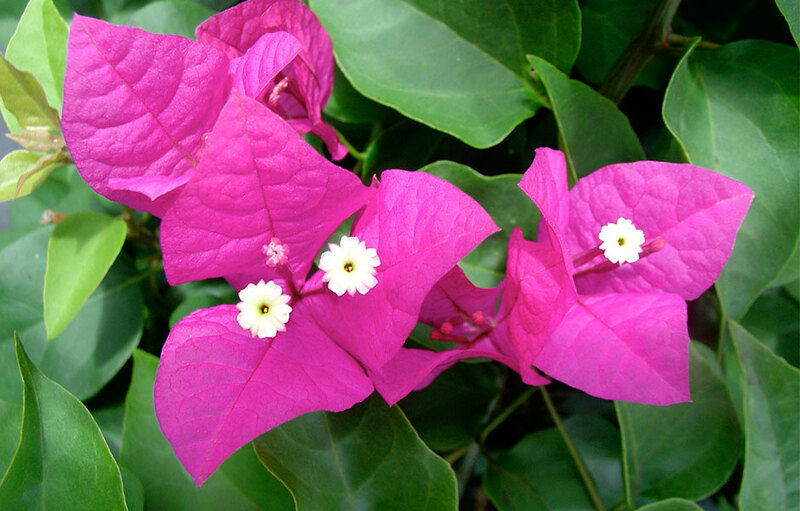 The bracts can be seen in all shades of pink, purple, red, yellow, white, salmon, and orange. 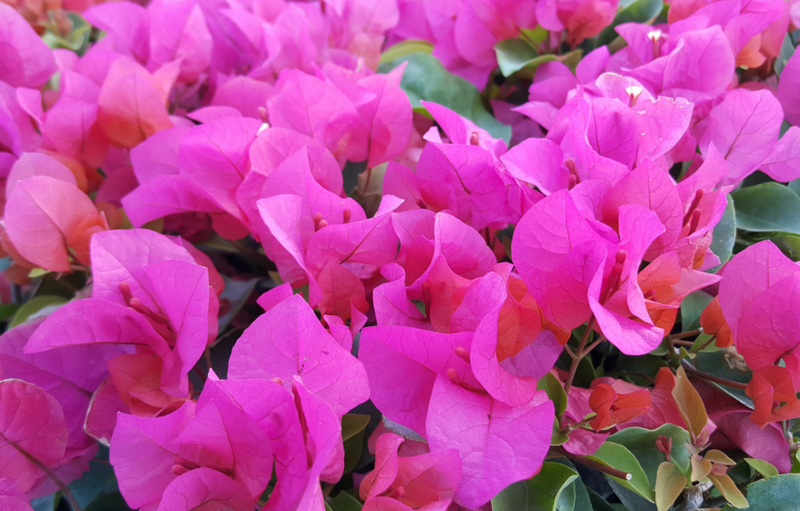 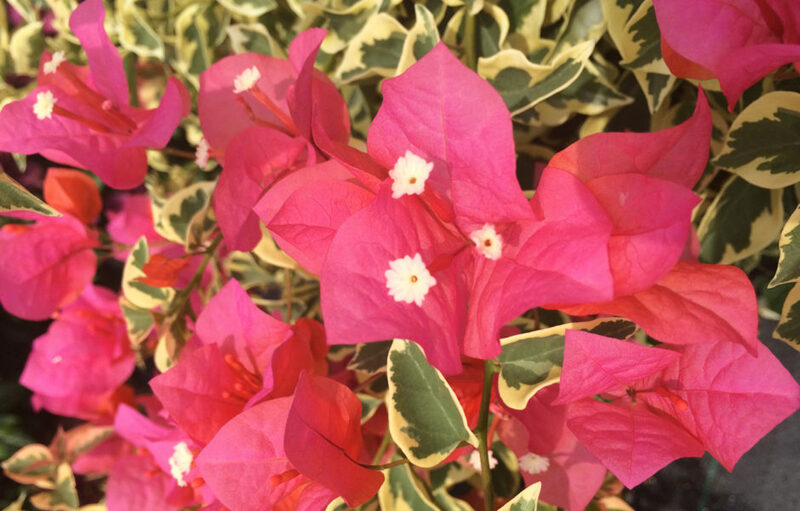 Bougainvilleas are a fast-growing, easy-to-care-for plant that adds color to the landscape or patio. 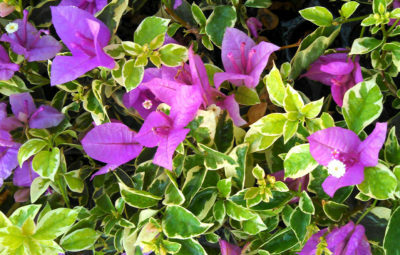 They require full sun exposure and tolerate mild drought conditions. The bougainvillea blooms in the summer and fall, but may bloom through mild winters.